Actor Logan Lerman, who is the protagonist of the new saga: Percy Jackson, appears as rumored in IMDB as Peter Parker in the new Spider-man Reboot. I think that he is a very good option to portray a teenager Peter Parker, our friendly neighbor. The new, live-action Spider-Man movie will hit movie theaters July 3, 2012. It is going to be directed by “500 Days of Summer” filmmaker Marc Webb. The NEW script from Vanderbilt follows the Ultimate Spider-man origin and will fit today’s audiences. Sony Pictures has confirmed that this reboot will be distributed in 3D. The studio hasn’t revealed if the movie will be filmed using 3D cameras or be converted in post production. Rachel McAdams, Julia Stiles and Romola Garai were rumored to play Felicia Hardy (aka Black Cat). Will be the first film in the series to not feature one of Spider-Man’s archenemies. Other actors rumored for the main role of Peter Parker were: Taylor Lautner, Joseph Gordon-Levitt, Robert Pattinson, Zac Efron, and Jim Sturgess. logan leramn its my own spider man he is only mine!! 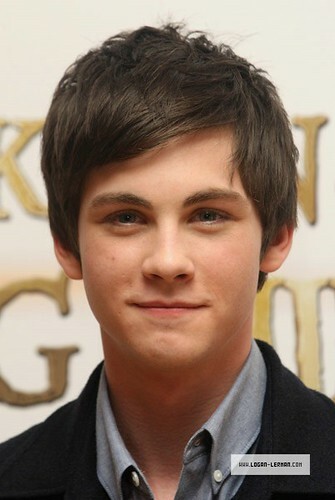 Logan lerman You are SUPERHOT CONTACT ME! !